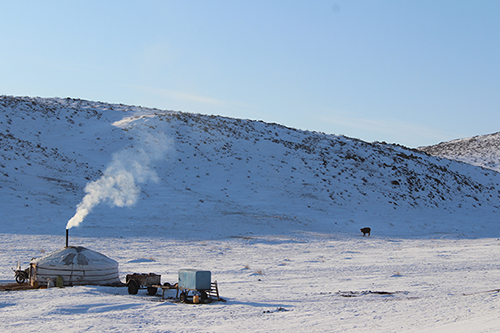 DORNOD/KHENTII, Mongolia – Mongolia was struck by harsh conditions this winter, raising risks for pastoral and nomadic communities. 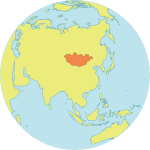 An estimated 165,000 people were affected, according to the UN Humanitarian Coordinator for Mongolia. The situation has caused particular concern for women and girls, who are experiencing limited access to sexual and reproductive health supplies and care and increased vulnerability to gender-based violence. The heavy snowfall and subzero temperatures – which can fall as low as -40 degrees Celsius even in a normal winter – have caused mass losses in livestock, a financial disaster for many herder communities. With families struggling to cope, women’s health and hygiene needs have taken a back seat, many report. Some 127 districts in 17 provinces and two districts in Ulaanbaatar were affected by the harsh weather, which some officials feared would reach dzud levels. She and her husband, Munkhzul*, had to take out a loan to get by. When warnings were issued about the possibility of a dzud, they and many other herders feared their livestock would not survive. In response, they sold or butchered their animals, flooding the market and causing meat prices to drop. “We did not get much from the sales,” Munkhtsetseg shared. Narantsetseg* explained that her needs as a woman fall low on the priority list. Her family spends what little they have on items like food and fuel, so she must ration sanitary napkins. During her most recent cycle, she said, she used only four commercially produced sanitary napkins – not nearly enough to maintain proper hygiene. The alternative is to use less hygienic, less comfortable materials like rags. With roads blocked by snow, women in remote areas have limited access to sexual and reproductive health care, including family planning supplies. Contraceptive stocks were depleted at all levels. In response, UNFPA has provided $52,000 worth of contraceptives, and procured an additional $58,000 worth of contraceptives with state funding, to improve availability of family planning supplies to women. There are also fears that the worsening economic pressures, especially when coupled with high alcohol consumption, are increasing risks for women and girls. There are no comprehensive statistics on gender-based violence in Mongolia, but evidence indicates these abuses are widespread. According to police data, over 90 per cent of victims of violence are women and girls. Few cases are prosecuted, and support services for survivors are scarce. 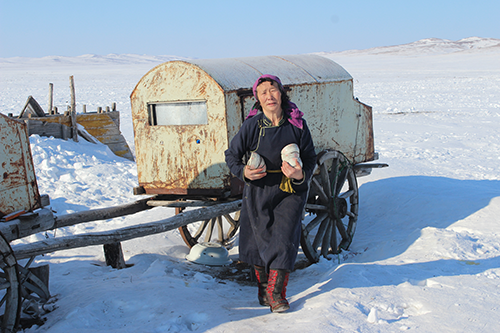 Herder women are additionally vulnerable when they leave their homes – even in extreme temperatures – to use the toilet. Traveling alone on the steppe leaves them vulnerable to assault and harassment. 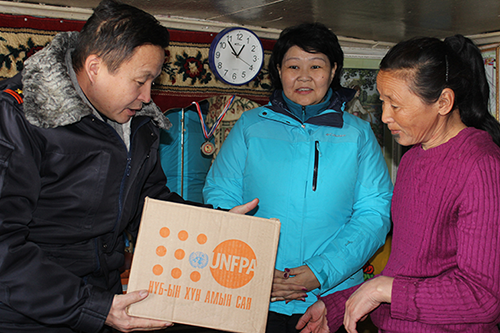 UNFPA recently took part in a multi-organization mission, headed by the National Emergency Management Agency, to deliver relief supplies to herder families in the affected provinces of Dornod and Khentii. UNFPA distributed dignity kits containing toiletries and sanitary products, including sanitary napkins, as well as clothing items like socks and underwear. They also include flashlights with batteries to allow women and girls to move about more safely at night, as well as whistles to use in case of distress. Over 2,400 of these kits were distributed. Apart from distributing relief packages, the joint mission was an opportunity to engage with communities to learn about their needs and challenges. Women overwhelming expressed a resolve borne of experience. It is, unfortunately, not the first time they have experienced these harsh conditions. Last year’s winter was even more severe, affecting 965,000 people and killing more than 1 million livestock – a blow from which many are still trying to recover.